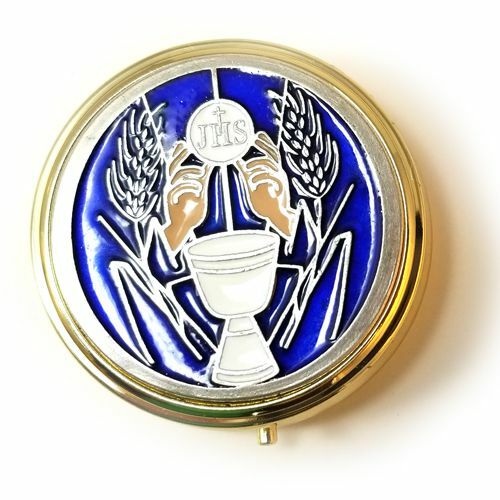 Gift this beautifully crafted box for a young man's First Communion. 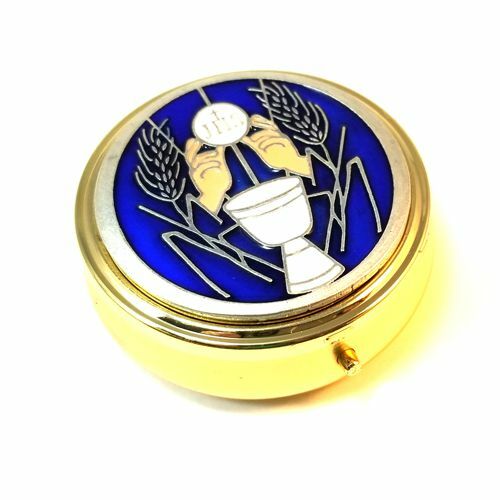 The box will last his entire life time and hold all types of precious things thoughout, starting with his first "fancy" rosary. 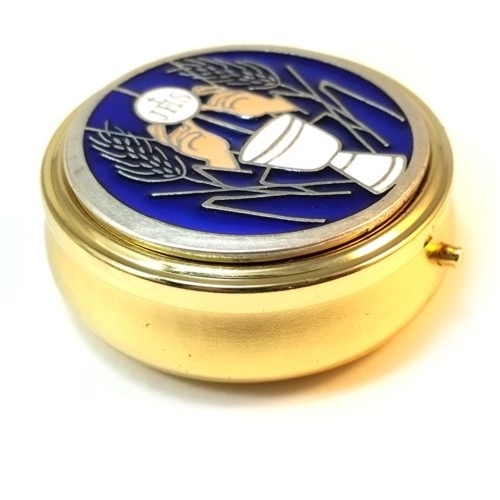 The pewter chalice image on the top of this box is filled in with blue and white enamel. 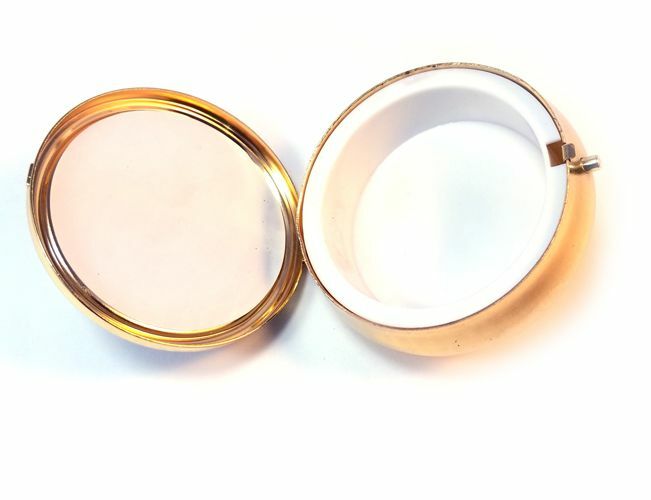 The box opens with a little push of the latch, and fits nicely inside pockets.